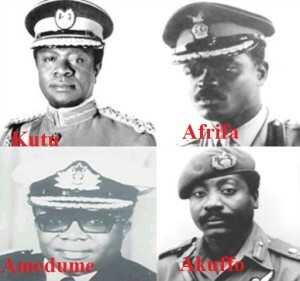 Do you know that one of the unpardonable evils of the Kutu Acheampong-Kwasi Akufo SMCI & II regimes in the 1970s were the regulation and the control of the so-called Import Licenses? By this military policy or should we say decree, any Ghanaian or should we say business person, wishing to import any goods into our country was required to seek express clearance from the Government. This measure became so unpopular that it gave birth to one of the reasons for the eventual overthrow of that regime in 1979 because it degenerated into nepotism, favouritism, bribery and corruption as only the affluent and sympathizers of the regime became middle-men and women in the issuance of the said licenses. Most history enthusiast might have heard about one Acheampong’s unpopular accolades- “fa wo to begye golf” mostly associated with power and beautiful women who influenced the SMC regime. Today- 2015 (36 years on) what political sense do we make out of the so-called- Single-source procurement under the – Public Procurement Act, 2003 (Act 663), where at the discretion of our governments, had been able to allocate contracts to its party activist without seemingly rigours tender? (f) where the procurement entity applies this Act for procurement that concerns national security, and determines that single-source procurement is the most appropriate method of procurement. (2) A procurement entity may engage in single-source procurement with the approval of the Board after public notice and time for comment where procurement from a particular supplier or contractor is necessary in order to promote a policy specified in section 59(4)(c), (d) or 69(2)(c)(i), and procurement from another supplier or contractor cannot promote that policy. By the contents of this provision, it appears that government officials and their chosen agents or assigns, could directly/indirectly interfere with the tender/procurement processes as was the practice in SMC era? KAASFORD'S PRINCIPLES- IF YOU DON'T KNOW ASK WITH PRUDENCE- IF YOU ARE TOLD- QUESTION WITH HUMILITY- FOR THERE COULD BE ARGUABLY, ALWAYS A REASON FOR A QUESTION OR AN ANSWER! ..... Fordjour is the Director of Legal and Media Research, JusticeGhana Group.